FSU Art BFA ’09 Rachel Rossin is one of the featured artists in the November 2017 edition of Art Forum, a nationally renowned arts magazine. Rossin is a multi-media and installation artist based in New York City. She is regarded as one of the pioneers of the artistic medium of virtual reality. Rossin is known for manipulating digital technology to create immersive environments. In her work, Rossin often aims to define new experiences regarding transcendence and perception. 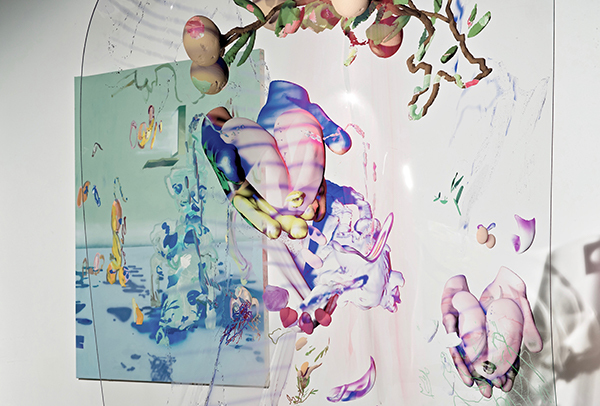 She works by blending the worlds of painting and digital media by using game-engine physics, procedural programming and traditional oil painting and airbrush to create virtual reality installations, paintings, and sculptures.